Mark and Michelle show their wedding rings with the Bride's flower bouquet. 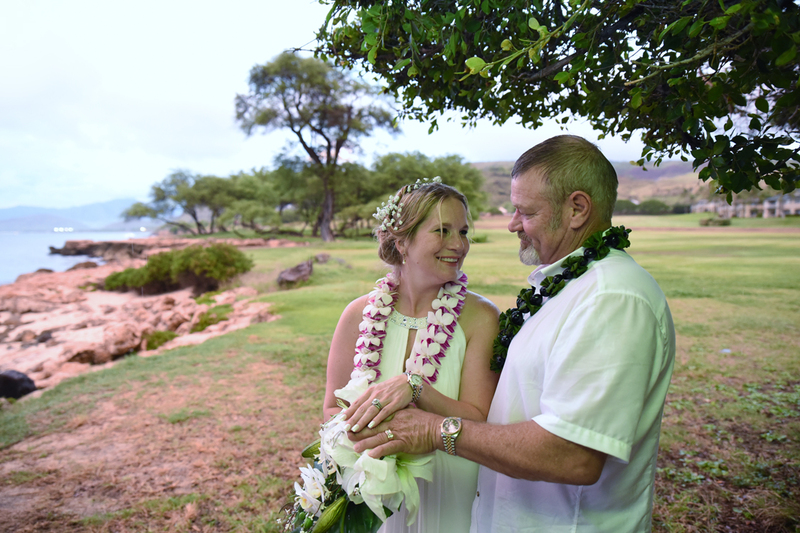 Need a bouquet for your wedding in Ko Olina? Check out Hawaii Wedding Flowers.